When a homebuyer decides to buy a property, there are three types of property home loans he can buy, which are the following: primary residence loan, second home loan, and an investment property loan. In exchange of the loan funds the homebuyer receives, he provides the lender a legally binding promise to pay back the funds within a certain time range for a certain cost. The mortgage gives the lender the right to have a legal claim against the borrower’s home in case he defaults on the terms of the note. Consequently, the lender owns the property until the borrower pays it off. What are the different types of property or Home Loan options? The first step in purchasing a home loan should be for the borrower to check his credit and income. He should make sure there are no issues causing any problems. Regrettably, problems result in higher interest rates, meaning the buyer pays more over the life of the loan. The lender checks the borrower’s income for qualification by checking the borrower’s Form W-2, most recent tax return, and other documents. In addition to the loan to value ratio (LTV), which shows how much is borrowed compared to the property’s worth, the lender may also calculate a debt-to-income ratio. This ratio signifies how much of the borrower’s monthly income is eaten up by monthly payments. In general, the less the borrower borrows, the lower the risk for the lender. The property a homebuyer buys affects her interest rate and her eligibility for a mortgage interest deduction. What is a Primary Residence Property? A primary residence property is the standard owner-occupied property in which the owner resides majority of the time or year. This principal residence can be a singe-unit or multi-unit property. It can also be a home or even a condo. Generally, the property must be a good distance from her job too. Furthermore, it must be owner-occupied within 60 days following the closing date. To prove her residence, the borrower needs documentation such as voter registration or tax returns, among others. Now because it is the primary residence, its mortgage rates are the lowest. It is also easier to qualify for a mortgage for primary residence properties because its guidelines are more flexible. This translates to the owner putting less down or refinance at a higher LTV. The borrower can have a FICO credit score of 580 and make a downpayment as low as 3.50%. A second home must be a good distance such as 50-100 miles away from the buyer’s primary residence. This single-unit property must be accessible by car year-round. It must be under the control of the buyer and not subject to a rental, timeshare, or property management agreement. The property must be owner-occupied during some time of the year. The borrower does have the option to rent out the property for a maximum of two weeks and keep the income tax free. Potential buyers interested in buying a second home may need a higher credit score to qualify. In addition, they may receive higher interest rates. It is all due to increased risk for the lender in case the borrower defaults. There may be other instances in which the aforementioned may not transpire. Every situation differs. The borrower can qualify for deductions. Firstly, he can receive a mortgage interest tax deductions if he uses the home for more than 14 days or uses the home for more than 10% of the days he normally rents it out. Finally, if the borrower shows the lender his timeshares, he can qualify to receive deductions as well. In all, it needs to make sense that the property in question is a second home. Otherwise, the lender may think of it as an investment property. Properties for the sole purpose of tenant rentals are classified as investment properties. Loans for these investment properties consist of higher interest rates and credit scores. After all, it is a risky investment. The lender needs protection in case the borrower defaults. Therefore, in order to qualify for an investment property loan, the buyer must follow and maintain some criterions. Additionally, a lease agreement is of secondary importance to the mortgage if it gives the tenant the right to purchase the property. The buyer has to show a lease agreement confirming that the property is occupied by a tenant. She has to provide a letter to the lender stating that the lease has expired and the tenants are paying month to month, if such happens. 3CALoan has developed a comprehensive mix of highly customized property home loans whether it be for a primary residence, second home, or an investment property. Our loan programs help maximize an individual’s returns for her housing needs. Furthermore, these programs, offered at competitive rates, are based on the customer’s needs and requirements of her property. Therefore, owners and investors can spend less on interest and fees. They can turn an even bigger profit from their investment on a home. There are flexible loan terms and payment schedules available to fit the needs of any owner or investor. Refinancing loans are available to save the current owner’s money on her mortgage loan payments. 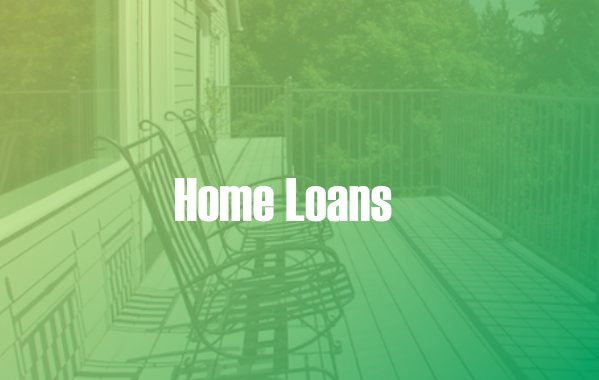 We offer different home loans that fit an owner or investor’s individual needs.